I was doing some training recently with people who’ve ‘been there and done that’ and invariably the subject of the ‘best’ pistol round came up. Usually these endless discussions revolve around .45 ACP vs .40 S&W with various other calibers added to confuse the discussion still further, but this time one of our group said he thought the 5.7x28mm round was the best. I’d never really considered this round in the past because it isn’t a mainstream round – very few weapons out there fire it. But I respected the guy who advocated it and so kept my silence and listened rather than spoke, and did some research subsequently. I’ve got to tell you I’m hooked. The 5.7×28 round has several significant advantages over all other pistol rounds – its speed and its dimensions, and to a lesser extent its weight. It is reasonably priced, with its greatest weakness being lack of pistols that will accept this caliber. Let’s consider speed first. Most pistol rounds exit the muzzle at anywhere from somewhat below 900 feet per second up to about 1400 fps. The speed of a bullet depends on its caliber, its weight, the powder load, and the barrel length. As for the round’s dimensions, it has a smaller diameter than any of the other bullets except for the .22 round. 5.7mm is .224″ – a single thousandth of an inch larger in diameter than a 5.56mm/.223″ rifle round. A narrow diameter for any round is not normally considered a good thing – in simplistic terms, the larger the diameter, the larger the wound cavity created. The notable thing about this round is that it is narrow but long – it measures 21.6mm (0.85″) in length (the 28mm measurement relates to the length of the cartridge case, not to the length of the bullet). In round figures, it is almost four times longer than its diameter. This compares to standard 9mm rounds which are about 1.5 times as long as they are wide, sometimes less. The 5.7×28 round also has its center of mass further back towards the rear of the bullet than is the case with most other pistol bullets, due to its long gracefully pointing nose. Accordingly, when a 5.7×28 round hits a target, the bullet tends to tumble (the same as the .223 round). This does two things. It makes for a much larger wound cavity than it would if drilling a tidy hole as would otherwise be the case, and it ensures that all the bullet’s energy is transferred to the target, with less danger of the bullet zipping out the back side of the target and on to whatever other things are behind it. Now let’s return to the bullet’s speed to consider another measure of bullet lethality. As a disclaimer up front, I should acknowledge that all studies of all types of bullet lethality can be considered as incomplete and inconclusive, and as such there are no exact factors to optimize in designing the ultimate self-defense round. That is why there is so much (and such repetitive) discussion over the relative effective stopping power of different bullets. With that disclaimer out of the way, the phenomenon of hydrostatic shock is a somewhat controversial factor which some authorities believe to be a significant contributor to a bullet’s ability to rapidly incapacitate an aggressor (ie faster than the time it takes for the aggressor to simply bleed out). Some proponents of hydrostatic shock even claim that a bullet hit in the torso will transfer energy through the body’s non-compressible fluids to the brain. Hydrostatic shock effects are not only somewhat controversial, but also somewhat secondary for most pistol rounds, because the pistol rounds do not travel fast enough to have an appreciable hydrostatic shock effect. The FBI recommends that pistol rounds be chosen primarily on the basis of their ability to penetrate 12″ of ballistic gelatin. However, the 5.7x28mm round is considered to provide a greater hydrostatic shock effect than most other pistol calibers and bullets (and seems to penetrate about 12″ into ballistic gelatin as well). Those who argue against hydrostatic shock say that accurate bullet placement into vital organs and areas of the body is the most certain approach to ensuring capacitation. A possible response to that statement is to accept it, but to point out that few of us can guarantee such accuracy under stress in a volatile situation, and so any added factors that can help us win the fight are to be embraced enthusiastically. It would seem the 5.7 round offers the best of both worlds – sufficient penetrative ability to be reasonably likely to reach vital organs if hitting the target in an optimum zone, and the added bonus of hydrostatic shock, ‘whether it is needed or not’. This has certainly been accepted by Navy Seals, Secret Service, and the Federal Protective Service, all of whom have chosen 5.7mm rounds and weapons for their operatives. The 5.7 round is rated as having an effective range of 55 yards when fired from a FN Five-seveN pistol, or 220 yards when fired from a P90. The very high velocity of the round also gives it a very flat trajectory, and allows for optimum accuracy. The 5.7x28mm round gives you something for nothing – it leaves the gun with a goodly amount of energy, in high speed search of something to transfer its energy into for maximum effect, but does so without the expected amount of recoil. The recoil experienced when firing a 5.7×28 round through a FN Five-seveN pistol is appreciably less than the recoil experienced firing a 9mm round through a Glock 17. This is all the more surprising because the Glock is a slightly heavier weapon (both weigh about 22 oz unloaded but 17 rounds of 9mm ammo in a Glock magazine weigh considerably more than 20 rounds of 5.7mm in a FN magazine). It has been cited as having 30% less recoil than a regular 9mm round. Although recoil is low, muzzle blast and flash is appreciably higher – I’ve not fired the cartridge at night, but based on the visible flash from daytime shooting, I’d imagine it to have appreciable impact on your night vision acuity if you had to use it in a dark environment. 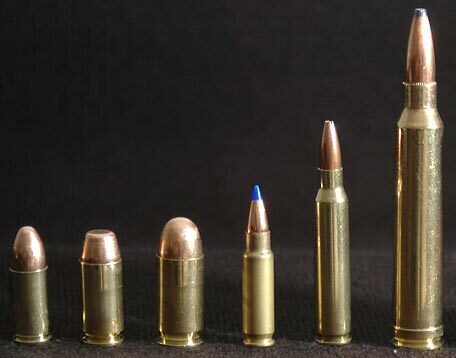 The cartridges weigh about half the weight of typical 9mm cartridges. This, plus their small size, makes it very convenient to carry plenty of spare ammunition. Regular civilian grade ammunition can be purchased at around $20 per 50 round box of the SS197SR cartridges and $25 per 50 round box of the SS195LF cartridges. This makes it priced closely comparable to regular grade .45 ACP and only a little more than .40 S&W ammo. The same source sells standard 9mm ammo for around $12/50 rounds. When you keep in mind you don’t need to buy outrageously expensive self defense rounds in addition to the ammo you buy for practice and plinking, it seems clear that from an affordability point of view, the 5.7 round is no worse than most other standard caliber rounds. The anti-gun nuts – and I use the word ‘nuts’ advisedly because they seldom allow common sense to interfere with their hysterical dislike of anything that goes ‘bang’ have denounced the 5.7×28 round as being a ‘cop killer’ round with alleged magic properties to penetrate through bullet proof vests. These are probably the same people who described the Glock 17 pistol, for the first few years after its introduction, as a ‘plastic gun’ which they claimed would be undetectable when going through airport security, due to ‘having no metal’ in it. Of course, this is an utterly nonsensical statement – the entire barrel, slide, and assorted other pieces of the action are all made of good solid steel, and with airport metal detectors capable of detecting a single penny in your pocket, they’d never have any problem with over a pound of solid steel in the so-called ‘plastic’ gun. The claims about the 5.7×28 round are similarly specious. It is true that one of the original development goals was to create a bullet with better penetrating power to get through battlefield flak jackets, and for sure, an armor-piercing version of the round is available, although only to the military and law enforcement, and this round is definitely capable of penetrating some kevlar vests. But most pistol and rifle rounds are offered in armor-piercing variations, so the fact there’s an a/p version of the 5.7×28 round is not unusual. Most importantly, however, civilians can only buy two versions of the 5.7×28 round – the SS195LF (lead free) and the SS197SR (sporting round). Neither are armor-piercing. Only the SS190 is classified by ATF as AP and sale is restricted to law enforcement and military only. Unfortunately it isn’t only the rabid anti-gunners who ascribe magical powers to this round. At the local gun range, the generally knowledgeable range master claimed that the 5.7×28 round traveled at 3300 fps (almost exactly twice the actual speed of 1750 fps) and could penetrate ‘both sides of a kevlar helmet’. Here’s an interesting critique of the round which compares it to some high powered .22 cartridges, and as this comparison would indicate, it is absolutely not a cop-killer with any magical penetration powers at all. Unstated in the article is the fact that these bullets (like 5.56mm/.223″ rifle rounds) tend to tumble when striking a target – this is a great way to transfer the bullet’s energy to the target, to create a wider wound channel, and to avoid over-penetration, but it is absolutely useless in terms of penetrating a bullet proof vest (or much else for that matter, either). Why Is the 5.7×28 Round Not More Popular? So, if you’ve read all this way, you’ll be seeing this as an excellent round with a lots of pluses and no minuses. Why hasn’t there been a rush to adopt it by handgun manufacturers and military/law enforcement institutions? In contrast, the .40 S&W, first introduced in 1990, has quickly won widespread acclaim and adoption, whereas the 5.7mm round languishes with little marketplace awareness and even less acceptance. It is hard to have an answer to this relevant question. My own best guess is that most shooters are hung up on the size issue. A bigger bullet is intuitively better than a smaller bullet, and when you think back to the introduction of the .40 S&W round, it was not so much displacing/replacing the even larger .45 ACP round as it was substituting for smaller rounds such as 9mm. The ‘bigger is better’ crowd were able to welcome the .40 S&W without having to change their paradigm. On the other hand, the 5.7mm round is tiny. It is long and narrow and ‘delicate’ in appearance. It weighs only 40 grains, compared to 115 or more for a 9mm round, 155 or more for a .40 S&W and as much as 230 grains for a .45 ACP round. This makes it difficult to accept the 5.7mm round as being better than the larger heavier rounds it competes with. Add to that the successful scare-mongering and hate-mongering by the anti-gun forces so as to make it a controversial round that politically correct shooters may choose to avoid, and this excellent round has found little acceptance. Another reason is the difficulty in adapting existing designs of pistols to chamber the 5.7mm round. It is, for example, relatively simple to convert a pistol between 9mm and .40 S&W (look at the Glock family for an obvious example). But due to the relatively long length of the 5.7mm round, it needs major alterations to the design of the grip (to hold the much longer magazine) and to the slide and receiver (allowing the slide to go back much further to eject spent cases and feed new rounds into the chamber. It is fair to say that the 5.7x28mm cartridge is pushing the outer limits of cartridge dimensions that can be used in an ergonomic pistol design. Lastly, the chicken and egg effect is definitely in play. If you want to use the 5.7mm round, you have effectively only one handgun choice – the FN Herstal Five-seveN; an ugly, expensive and bulky weapon with nothing to recommend it other than being chambered for the 5.7mm round. This further discourages shooters from seeking out 5.7mm based pistols, which discourages the pistol manufacturers from developing new pistols. The 5.7x28mm round is an impressive round in every respect, and offers greater stopping power combined with greater controllability (as compared to most other mainstream pistol rounds), all in a tiny sized package, and at an affordable cost per round. With so much going for it, and very little if any downside, it deserves a more prominent role in our awareness than it currently has. I totally agree, owning a 5.7×28 and shooting it is a pleasure. I think FNH found such a good thing other makers don’t want to admit it. The 30 (+-) grn round has a MV of about 2100 fps. The civilian rounds substantially less. It was hoped to be a replacement for the 9mm NATO and was designed specifically to penetrate soft body armor. It depends on yaw for energy transfer. It has a low recoil, noticeably large muzzle blast and report. It is a very flat shooting cartridge and is reportedly capable of excellent accuracy. I think the 5.7 pistol, P90 and AR-5.7 are the only current offerings. No bolt action rifles are commercially available. Reloading is not generally considered practical. The round was not intended for reloading, pressures are high, the brass stretches substantially, trimming and crimp are extremely sensitive and few suitable bullets are available (reloading with the ss109/M855 projectile is a felony under title 18 USC). Military ammunition, which is illegal to possess, will penetrate level III and level IIIA armor “out to 200 meters.” While commercial ammo is rumored to be effective to some degree against soft armor, the ATF has issued a memo stating that commercial 5.7 ammo is not considered AP for title 18 purposes. I don’t know what the addition of a trauma plate will do to detract from penetration or how the round works on hard targets. The FMJ bullet will not deform, expand, or break. Two polymer tipped hollow points are offered. The PDW advantages touted by military carriers are light ammunition weight, the abilities to shoot flat and penetrate soft armor. Lethality is questioned. Bullet yaw is NOT a reliable energy transfer mechanism and even when the projectile performs well, only one turn occurs in a typical target and the damage done is minimal. I have seen no testing done on terminal performance after penetrating armor. The lethality concerns have been countered with the argument that the ability to place multiple rounds in the target makes individual hit effectiveness irrelevant. small caliber HV rounds have sporadic and unpredictable performance. The military loading is a flying ice pick. It was intended to be a flying ice pick. It will do nothing but penetrate. It was designed as a specialty weapon and it fits that niche as designed. Civilian ammo is matched by the 22 magnum and surpassed by the .17 rimfire . With that said, the 5.7 can and has been lethal. There is no arguing that the best weapon for any given situation is the one you have with you. However, the 5.7 would seem to be a poor first choice for PD. Single hits are ineffective. The energy generated by velocity is wasted by over penetration. Ammo is expensive and the muzzle blast and flash are substantial, especially in dark closed rooms. Sometimes we have to be reminded that a projectile is merely an energy transfer device and the effectiveness of any given projectile must be evaluated by the amount of available energy that is actually delivered where we want it. How much juice any given bullet has is irrelevant if 90% of said juice is transferred to a distant tree or hill. Unless you are a shooter who must choose a weapon with minimal recoil, there are many better and cheaper PDW choices for you and me. You start off with the very negative explanation, ‘Hogwash!’, but I don’t see where we are substantively disagreeing. It seems we have similar views of many of the facts, but merely interpret them differently. The point about bullet yaw is an interesting one. Can we agree that a long narrow bullet that yaws – even if it ‘only’ rotates once in a target – is very much preferable to a long narrow bullet that goes straight through, merely drilling a nice clean hole? The yawing not only increases the wound channel but also the energy transfer, and reduces the over-penetration effects. Okay, maybe the round will still exit the primary target and strike the sheet rock behind, but it probably wouldn’t go through the sheet rock and on into another non-target with lethal effect. You are also entirely silent about the (admittedly mild) hydrostatic shock effects. You merely say that extra velocity is wasted (which I don’t entirely accept when you have yawing to translate that velocity into target damage), and are silent on any ‘bonus’ hydrostatic shock effects. One more thing about lethality. I can understand that the military, with AP loads, are tooled up to confront enemy troops with some degree of body armor (although that is an uncommon scenario in most of the wars we have been involved in recently). But what about the Secret Service and other agencies that use the round as well? Surely they are more focused on fast incapacitation of threats, rather than defeating body armor? You say – with no support – that single hits from a 5.7×28 round are ineffective. How do you base that claim? On the other hand, you could as fairly say that about most other pistol calibers as well! You also say that ammo is expensive. That is happily a factual claim that we can examine, rather than a subjective guess. See my numbers in the article. The ammo is definitely cheaper than generic 9mm reloads, but it is NOT more expensive than high quality self defense rounds – indeed, it is massively cheaper. I pay over $20 for a box of 20 rounds of most types of high end self defense loads for any pistol caliber, or I can pay the same money for a box of 50 rounds of 5.7x28mm. Thanks for your well written comments. Double check your facts on the hydrostatic shock because I seriously doubt a 5.7 out of a pistol length barrel will provide any. Hydrostatic shock only occurs at the higher end of the velocities involved with rifles and it drops off fast with even a slight decrease in velocity. I hunt deer with a .270 and I’m very familiar with its effects. You claim that the round has a better hydrostatic shock than any other common pistol round (magnums excluded), but in the table you show it has less energy than a 9x19mm (The table isn’t wrong). Hydrostatic shock is directly related to the energy of the projectile. There for the 5.7mm round will not have more hydrostatic shock than a 9x19mm round. Your claim for the 5.7mm round being better than other larger rounds based on hydrostatic shock is flawed. And if your claiming the 5.7mm round is more effective out of a PDW/carbine then you also have to look at how the longer barrel affects the other rounds. I’ve played with the round and seen it in action. It does have a great deal of penetration however that is all it does well. As it tumbles in the body it does not fragment the same way a 5.56mm round does. Really the only possitive I could see from the round is the low recoil due to its low momentum, which would give the shooter the ability to provide tight followup shots. I would agree that it is a lethal round, however, all rounds are lethal to an extent. I would not classify this round as a defense round; it’s more of a fun round and target round. As I understand it – and I could very well be wrong – hydrostatic shock is linked primarily to velocity rather than energy. Now, okay, energy and velocity also have a relationship, of course, but the key part of hydrostatic shock is not the weight of the bullet (another derivative of energy) but its speed. We certainly do not mean to put the 5.7×28 round above a 5.56 round. On the other hand, I don’t think there are any pistols chambered for 5.56! Hydrostatic shock is linked to higher velocity, but it’s the kinetic energy that is transferred to the body that causes the hydrostatic shock. I think you might be confusing hydrostatic shock with sonic boom which is affected by pressure and speed. Hydrostatic shock is for lack of a better term a shockwave in liquid. A shockwave is measured by the drag created by the air around the projectile. The drag is the denity of the air and the speed of the projectile as well as the diameter of the projectile. The drag creates preasure on the projectile, which causes the energy to be transferred to the air around it. What this means is an object with larger diameter and energy will create a greater shock wave, while a smaller object with less energy will be streamlined and not have as great a shockwave. Thus, a 5.7mm round will pass through a less dense person – transferring only a small amount of energy to his or her body – and impact a higher density object – transferring the rest of that energy to that object. Also keltek makes a 5.56mm pistol; it’s large but they still consider it a pistol. A number of law enforcement and military agencies have adopted the 5.7x28mm cartridge, which is reputed to cause considerable hydrostatic shock. I’m not sure there’s much more than can be added. So much of ballistics and ‘stopping power’ is pseudo-science and guesswork. I read it and I agree that military loads of 5.7mm are more effective than 9x19mm, however, the civilian side does not achive the same ballistic performance that a military load produces. The military load being a great deal faster than the civilian ones. As such, I feel on the military side the 5.7mm can be a valuable round for special ops guys (excluding psyops and civil-affairs). I admit though I have probably not done as much research on the round as you have but I was under the impression that the ATF labled any 5.7mm round above a certain velocity, as armor piercing. It’s not so much of a disagreement as to what causes the shockwave in the human body as it is as to the effect it has on stopping a person. To add a little more clarity (or further complicate things), a 9x19mm round that goes through its target will not transfer all its energy to the target. However, there is a greater amount of damage caused due to the deeper penetration. American Rifleman did an article on the best rounds for defense. The study they conducted concluded that the best round for defense is one that doesn’t over penetrate, and one that has a great deal of energy to transfer to the body (perminant wound cavity was also a factor in their decision). Theoretically a round that has a slightly greater amount of energy and lower volume can pass through a body and transfer very little energy to that body, while a larger volumed object with less energy that stops in the body will transfer 98% its energy in to the body causing a greater amount of hydrostaic shock. The trick is to find the balance between the two or have a round that has so much energy that just a fraction of that energy transfer is enough to stop an individual. For example a .50BMG round passes through a person with ease, however, the energy is has is so massive that a fraction of that energy is still devistating. There are a great many pieces of phyisics to consider when discussing ballistics. I don’t mean to sound like a jerk trying to prove a point, I simply want to enlighten. I will admit that I am a fan of the .40cal rounds (10mm included), however, I do not feel larger is the answer either. I feel a middle ground must be found and that some of these newer rounds to come out might be the answer. The jury is still out on combat effectiveness of the 5.7 round. It is not, repeat not, a battle rifle, by any means, but is intended for close range encounters. Given its high velocity, low recoil, light weight, and accuracy, it just might be an excellent choice for self defense. The Fort Hood shooter used a 5.7 and the civilian legal ammo, in his maniacal and deadly attack on fellow soldiers. About 200 rounds were fired from the 5.7, 44 persons were shot, 13 fatally. That’s 30% mortality. How many were “incapacitated” is unknown, For “highly trained” police officers involved in actual shootings, the rate of actually hitting a target is 20%. If the target is shooting back; the rate drops to 10%. The murderer was not a highly trained combat soldier; he was an Army psychiatrist! This gruesome fact shows that the 5.7 is easy to use even for the untrained assailant. I carry Elite Ammunitions S4M rounds in my FN 5.7. I’ve looked at the tests in both ballistic jell and clay.I am completly satisfied that is an effective self defence system. 21-31 rounds at around 2450 fps and accuracy out past 100 meters, it’s my 1st choice. In all seriousness, thank you for the review. What is really funny is all the talk followed by “but it is really unknown opinions” and “experts disagree” which they always do. I own 2 weapons in 5.7 – a five-seven MKII pistol and a AR57 carbine. I like the round and the weapons. One advantage not usually mentioned is the low recoil is conducive to longer practice times and less likelihood of developing flinch. PLENTY of women and quite a few man going though our training courses have developed a nasty flinch with 9mm. So it is a great choice if you agree shot-placement is king. Go ahead and hit me in the shoulder with the 9mm – whilst the 5.7 is ripping a whole in your aorta – or brainstem. Guess who wins? But on the other side of the coin, for marginal shot placement – bigger is better. You can certainly kill a Cape Buffalo with a 30.06 if you hit it exactly right. Your guide (read backup) will have a 375 or 400+ in some iteration – and for good reason. We all read about “hydrostatic shock” and “penetration” and “energy dumping”. Dump 25% – while wasting 75% through the ventricle – good kill. Dump 100% into guts, small vessels and fatty tissue – not good. And check out the states. How many people each year are killed by unintended over-penetration? In the 4 states we found these stats in, that would be Zero from 2005 – 2012. So in the end what is MY conclusion? I carry a Wilson .45 for open carry, and usually a HK P30S or Glock 23 for concealed carry. I sometimes carry something else, and sometimes that is my Five-seven MKII. I do not feel less or better protected when carrying it as compared to the others. The winner is the one who can engage quickly and accurately. A accurately placed round with adequate penetration will beat a large powerful miss EVERY TIME. Is the 5.7 up to the task of SD…..?????? The answer largely depends on who’s hands it’s in. An internet Rambo with his 500 S$W is no match for the kid who hunts squirrels with his Ruger MKll 22lr every day after school. If you shoot a 357mag with laser accuracy and speed why look farther. In reality not as many folks shoot their magnums as well on the street as they do on the forums. So many miss that. And better than 75% of us who C&C are not dedicated gun owners and if we get out to the range once a year it’s something. I have no doubt the 5.7 x 28mm is doable as a self defense round, but you better make make sure you know how to shoot very well. I carry both. My primary is a J-frame .38 riding in the front pocket and my G30 tucked underneath. The guru’s will tell you not to switch back and forth to different platforms, which I agree to a certain extent, unless you keep that muscle memory in practice cause both handle differently as well as work differently. But it works for me and I feel very comfortable knowing my odds look good that one or the other is going to fire. I simply will never completely trust a semi-automatic but a Glock is about as close to reliability as a revolver is. My .38 is the quicker draw for me from the front pocket which there is no better carry position or draw for that matter. That .38 is to get them off of me or get me to cover and or buy some time. Then I draw the heat. And unload on them like Armageddon. Anyway, I still can’t help but be drawn to this caliber because as mention in the article above it has some advantages as well, one of which the weight of the ammo if you carry extra. And while it won’t replace a .45 it just might replace my .38. The 5.7×28 was tested by NATO to replace the 9mm service round. The 5.7×28 performed in every way much better than the 9mm. NATO was going to change to 5.7×28 until the Germans where pissed there H&K round (can’t remember the caliber) performed poorly next to the 5.7x28mm. Some NATO members as of now use the 5.7x28mm now but not all. Some old timers can’t stand change to more modern and efficient rounds and weapons. FN’s 5.7mm ammo uses a .224″ diameter bullet, just like .223 Remington and 5.56mm NATO, tho much lighter. I would love to get my hands on some of the component 5.7 40 grain FMJ’s as a nicely suitable hunting bullet for my .22 Hornet. They don’t tear up edible small game as badly as soft points. I own one. Love the weapon and totally do not understand the fuss or comments about the weapon being ugly per se. Its a handsome weapon and if not for the minor drop in accuracy at 130 out…. Call it a minor imperfection in the design….. LOL Really? I mean if at 130 yards from a hand gun I am seeing little more then 2″ of drop. I am saying its a master work of perfection with no roil to speak of and totally a marksman’s handgun. The fact that the government saw fit to lower the bar and move the goal posts and ban the use of the Green Tip or Black tip ammo for the 5.7 mm. All things being equal…. Its an incredible weapons platform that sooner than later makers other then FNH will adopt. Very well written assessment and very good dialog back and forth. I own many many hand guns myself. My 5n7 has to be the most fun and easiest to shoot. I personally don’t carry it everyday as it is a rather large pistol. I stick to my Glock 27. However if I were in a situation where I knew trouble was coming it would be my first choice. Due to ease of use high capacity reliability accuracy and low recoil. However that being said I have seen side by side comparison test with it and a Keltec PMR 30 and the test in balistic gel were almost identical. I can’t comment on how they compare personally as I do not own nor have fired a PMR 30. FYI, I have both the FN 5.7 and the Keltec PMR 30. I like them both, but reliability goes to the 5.7. The characteristics of the rim fire 22 mag. cartridge is problematic. Not only are you constantly watching for “rim lock” as you load the magazine, the gun has a tendency to jam. “Jam-o-matic” as it’s been referred to. However, the ease of shooting follow up shots is impressive. On targets that flipped facing forward for one second, then flipping sideways, I was able to put 4 rounds on target as fast as one of my buddies could put 2 rounds of 9mm from a S&W M&P, and another buddy could put 1 round on target from his .45 cal. 1911. The sights of the PMR 30 are high visibility, fiber optic, which I love. That said, they are not very functional in the dark. To me, the PMR 30 is a great hunting and plinking firearm, but not reliable enough to be a combat weapon. My FN 5.7 is equipped with C-More night sights. While not as visible at night as other firearms with Trigicon sights, they are adequate. I have most calibers covered as far as handguns go, and have found a niche for the 5.7. It has been elevated to my primary sidearm while in full kit. I feel the reliability, the ability to carry numerous rounds with little weight, its flat trajectory, and low recoil make it a great addition behind my primary weapon, a long gun of course. As for concealed carry, forget about it. It’s too large, has its safety in front of the trigger like some rifles, which to me makes it problematic when drawing from concealment. Anyway, that’s my 2 cents worth. Great discussion, by the way. the British replaced the 455 Webley with the 38-200 after extensive testing and field trials. The long 38 was marginally stable and tumbled consistently on impact. The change resulted in smaller guns, lower weight and cost plus easier accuracy. Of course, if you take that same projectile and spin it up to drill speeds, you get (surprise! ): a drill. Same thing happened with the 5.56. Whitetail doe @ 20 yards, 40 gr V-max out of an AR 57. At this distance, the round is full bore. Two inch entry wound on left shoulder,(broke plate), 1 inch exit would on right side of ribs. Deer ran 40 yards flat out…not out of sight. This is not my go to rifle…(270)….just as deadly. Three thing to remember #1bullet placement, #2 bullet placement, #3 bullet placement. By the way, the hydrostatic shock of this little round IS impressive. Purchased a Five-Seven several months ago, I’m absolutely impressed by the accuracy and low recoil. I own many different handgun calibers and while I don’t consider myself the best shot with a pistol my control and accuracy especially with follow up shots increase dramatically with the 5.7x28mm. I purchased a shoulder holster that holds two spare magazines and being able to carry sixty rounds of high velocity ammunition is pretty awesome and surprisingly light weight with this caliber. My EDC is normally a compact Hk 40, however besides the size I would prefer the 5.7 and feel much more confident in a firefight. 20 rounds…. 1700 fps……. recoil like a 22…. there are videos of people shooting the Five-Seven pistol through bullet proof glass on YouTube where a 44 magnum failed.